A monito del monte peers down from a tree. 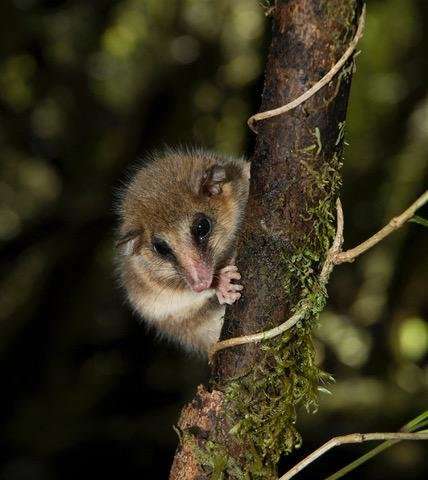 This marsupial has a prehensile tail that aids in climbing and eats mostly insects, fruit, and seeds. 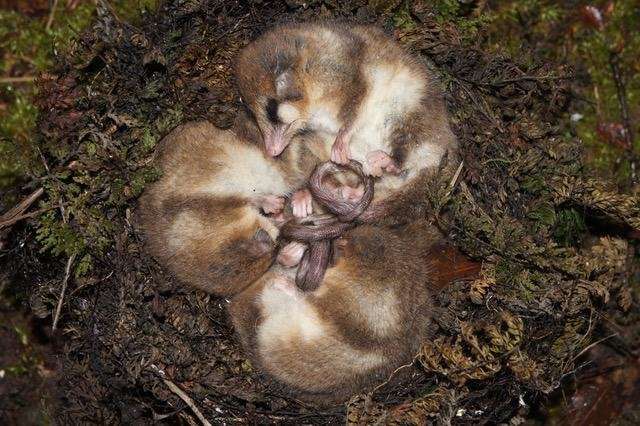 Females can carry up to five of their young in a well-developed pouch. Credit: Andres Charrier. A group of monitos in a nest. Credit: Andres Charrier.